Wirth Research believe that life can be more enjoyable and more sustainable through our technologies. We are able to make buildings better to live, work and shop in; to make vehicles more energy-efficient; and do all of this while providing our clients with a compelling return on their investment. 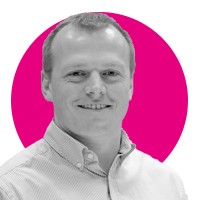 Chris is the technical business development manager at Wirth Research, an innovative engineering consultancy. His primary responsibility currently lies in leading the built environment commercial team. Previous to this, he lead the Aerodynamics and CFD department, working in sectors from motorsport, the built environment, commercial vehicles, drones and refrigeration.